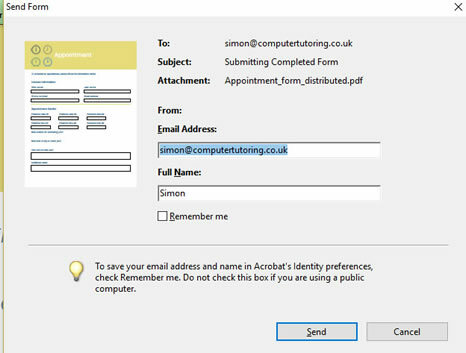 Here is a short video giving you an idea of how to fill out a PDF form that has been sent to you using Acrobat XI Pro. Double click on the PDF form attachment your collegue has sent you. Fill out the form then click on the Submit button in the top right. 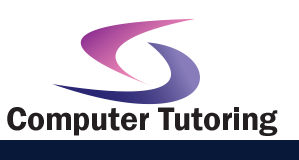 Your form will be sent by email. Check that your details are correct in the form that appears. 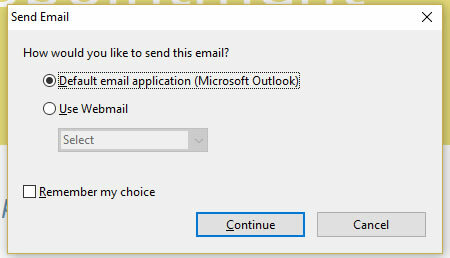 In the next box that appears ensure that your defaul email application is selected. Then click Continue.